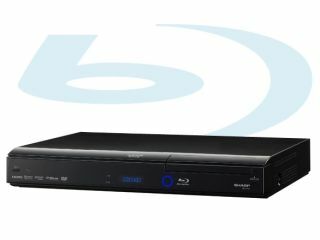 Sharp has announced the launch of its latest Blu-ray player, the BD-PH21H. Branded as a premium player by Sharp, the player is Profile 1.1 and produces 1080p picture quality at a 24-hertz frame rate. Being Profile 1.1 means that users will be able to view any BonusView content on a Blu-ray disc – Picture-in-Picture quality and the like – but falls short of Profile 2.0 compatibility. One of the more impressive features is the 10-second quickstart function. As many Blu-ray machines take an age to warm up, this feature is much-welcomed. The player also features Aquos Link. Hook it up to an Aquos TV and you'll only need the one remote to control both pieces of kit. Speaking about the company's new Blu-ray player, Grace Liang, product manager for Blu-ray at Sharp UK comments: "As one of the founding members of the Blu-ray Disc Association, we are delighted to announce the arrival of the new BD-HP21H in time for Christmas. "By backing Blu-ray technology from the beginning, we believe we have been able to produce the best Blu-ray player on the market." Price for the machine is a modest £249.99, with some online retailers offering the player at just £200.